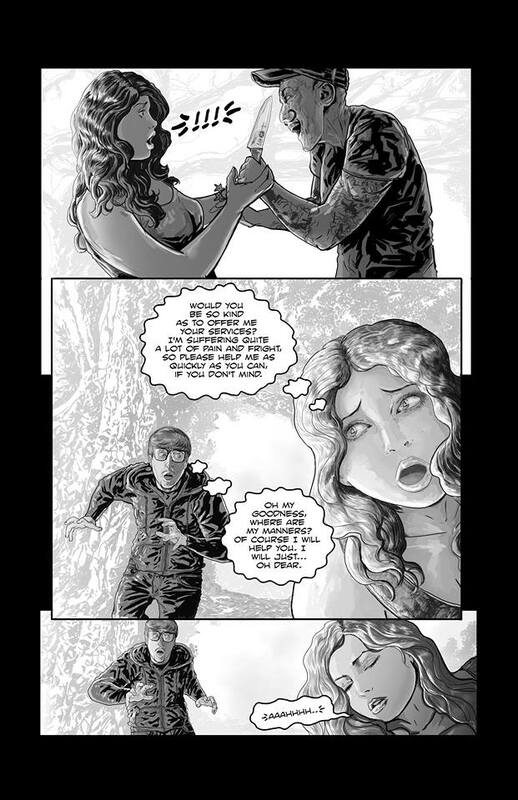 Posts Here's Sample Art from the Pretty Little Dead Girls Graphic Novel! I’m dying. I’m dead. It is so utterly wonderful! Orion Zangara managed to put so much emotion and movement into just a few frames. I’m enjoying every step of this process and I can’t tell you what a pleasure Orion is to work with. Last week I showed you a close-up of this panel, and it’s such a delight to reveal the entire thing! This is the scene where Peter the Murderer sees Bryony getting attacked on the trail. There’s an etiquette about poaching each other’s victims, you know. Such rudeness simply won’t do. His face. Her face. I love these characters so much. If you want to read the original novel, you can find it here.